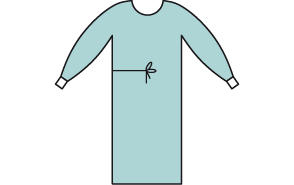 Choosing the right surgical gown for the right procedure could not be any simpler. 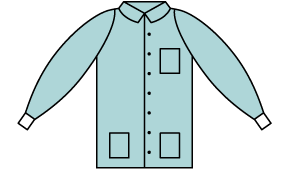 All Uniform surgical gowns comply fully with the requirements of the European Standard EN13795. The colour coded neck trim makes it easier to choose the correct level of protection. 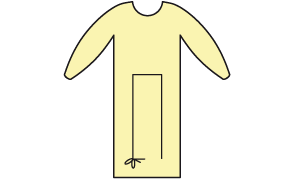 Standard, Reinforced and Impervious gowns. Available in SMS and spunlace. Light weight gown made from SMS. Available in a variety of colors in a universal size. Warm up jackets and scrub suits. Available in a range of sizes. 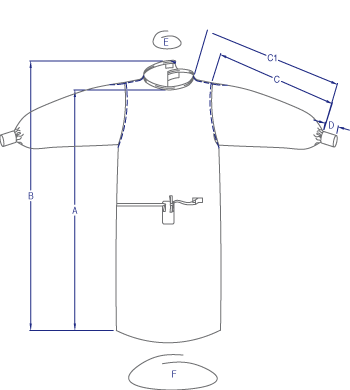 Choosing the right surgical gown could not be any simpler. Use our size chart below to find your fit.